The French Energy Transition for Green Growth Law (or Energy Transition Law), adopted in August 2015, marks a turning point in carbon reporting. It sets out a roadmap to mitigate climate change and diversify the energy mix. The law includes ambitious targets around reducing greenhouse gas (GHG) emissions and overall energy consumption, reducing the share of fossil fuels and nuclear power in favour of renewable energy and increasing the price of carbon. Due to its pioneering nature, the Energy Transition Law has picked up interest across the globe. The specific requirements of the legislation as well as the enabling factors which contributed to it becoming a reality in France are highlighted in this global investor briefing. It reveals that the legislation is flexible in its implementation, leaving investors to establish the most appropriate methodologies for themselves. This open-endedness has raised challenges, but it also gives the industry the freedom to shape the processes that will eventually become a norm for the industry in France. Article 173 of the French Energy Transition Law came into force on 1 January 2016. It strengthened mandatory carbon disclosure requirements for listed companies and introduced carbon reporting for institutional investors, defined as asset owners and investment managers. Due to its forwardthinking measures for institutional investors, Article 173 is of interest to PRI signatories. Following policy maker consultation with investors, the law was introduced on a comply or explain basis. Implementation is flexible to allow investors to determine the most appropriate reporting methodologies themselves. While many investors in France have been engaged in responsible investment for some time and have many of the reporting tools in place, for others complying with the law will require much more time and resources. And so the law has forced the issues of ESG integration and climate risk onto the agendas of all investors in France, regardless of previous engagement, and has raised the industry standard. Given the global momentum regarding climate change in the finance community, the law, what it stipulates, how investors in France have reacted to it and the building blocks that enabled such legislation to be passed, are relevant to investors worldwide. Some early lessons can be drawn from the French Energy Transition Law and on how policy makers can work with industry even more efficiently with the development of similar regulation. An early dialogue with industry in policy discussions provides them with an opportunity for formal and informal feedback. Encourage and support voluntary industry action, for example disclosure of portfolio carbon footprint. 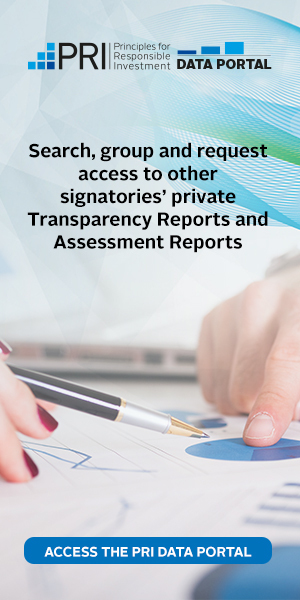 Engage with civil society groups to establish their role in the implementation of regulation. measure and prepare to disclose their emissions exposure.